I am 9 days late on this, but I watched the movie “808” over the weekend. For a fan of not only Hip-Hop music, but many other forms of music, this man and his company revolutionized electronics in music. Without the 808, we may never had heard “Planet Rock,” or “Licensed To Ill.” Rest in Peace Ikutaro Kakehashi. Music owes you a lot. The founder and inventor’s creations would go on to have an indelible impact on popular music. Roland Corporation founder Ikutaro Kakehashi. 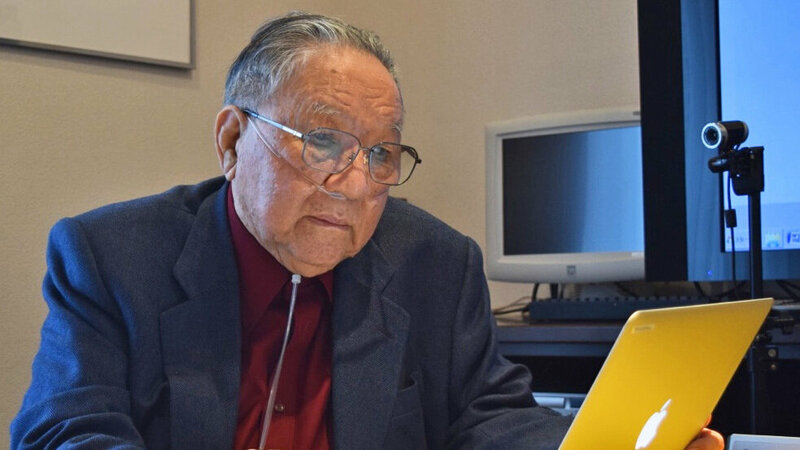 Ikutaro Kakehashi, the founder of the Japanese music company Roland, died yesterday at the age of 87. The news was confirmed by the company in a statement. Decades of hits performed by everyone from Marvin Gaye to Madonna used Roland’s iconic inventions. Kakehashi was also one of the original architects of MIDI, a method introduced in 1983 of getting different musical machines to “talk” to each other and which is still in used regularly around the world. When we think of the people who shaped popular music, we tend to think of the big stars on stage — but a dazzling array of new instruments and new sounds were unleashed in the 20th century that expanded the palettes of these artists. Inventors drove this sonic revolution, playing a role behind the scenes as important to musical history as those in the spotlight. The invention of the synthesizer was as vital as the invention of the electric guitar, while drum machines formed the bedrock for entire genres like hip-hop and techno. Kakehashi began dreaming of electronic instruments early, in the 1950s. Back then, synthesizers as we know them now didn’t exist; there were a few lumbering behemoths lurking in laboratories and university corridors, such as the RCA Mark II synthesizer, installed in 1957 at the Columbia-Princeton Electronic Music Center. The theremin existed, but it only made one kind of sound — a fantastic sound, to be sure, but its uses were limited. Composers devised ways of making electronic music using tape machines, in a practice known as musique concrète. Others, such as Louis and Bebe Barron, experimented with homemade circuits. Independent inventors, like Raymond Scott in New York and Oskar Sala in Germany, were building intriguing prototypes of proto-synthesizers, but these devices weren’t accessible to the general public. Then, the inventors Robert Moog and Don Buchla started having big ideas and, in the early 1960s, they designed — and later, mass-produced — the first sophisticated electronic musical instruments that would be recognizable today as synthesizers. Around the same time, thousands of miles away in Japan, Kakehashi was formulating his own inspiration. Rest in Peace Ikutaro Kakehashi, Founder of Roland, and indelible inspiration on my ACID RAGGA explorations. Thank you for synth heaven. Kakehashi got his start after World War II with a modest business repairing watches and broken clocks. His life wasn’t easy; his parents died in the 1930s of tuberculosis and he spent several years in the hospital himself fighting off a near-deadly bout with the disease. When he was, many years later in the 1950s, released from the hospital, he started trying to invent his own electronic instruments. In 1960, Kakehashi started Ace Electronic Industries, also known as Ace Tone. He designed electric organs inspired by the Hammond organ, amplifiers and effects devices, and ‘rhythm machines’ — early drum machines — like the popular Rhythm Ace. But the real action began when Kakehashi founded Roland on April 18, 1972, a story detailed masterfully some years ago by Gordon Reid in the magazine Sound on Sound and in Kakehashi’s own memoir, I Believe in Music. Japan had several companies by then that were hitting it big in the music world. Yamaha had a head start — it began in the late 19th century and founder Torakasu Yamaha’s first creation, in 1887, was a reed organ. Another Japanese company, Korg, was founded in 1962 by Tsutomo Katoh and Tadashi Osanai. Kakehashi also started another successful music company, Boss, which focused on effects pedals for guitars and bass. Under Kakehashi’s lead, Roland’s engineers developed synths, effects units, drum machines, and many other devices at a furious clip. The Jupiter-6, Space Echo, SH-101 and many others created in this electronic renaissance are still prized by musicians today. But Roland’s most famous inventions — the TB-303 “bass synthesizer,” used to create the rubbery, spacey timbres that defined acid house, and the TR-808 and TR-909 drum machines — were creations of the 1980s that seemed to have little commercial potential when they first launched. 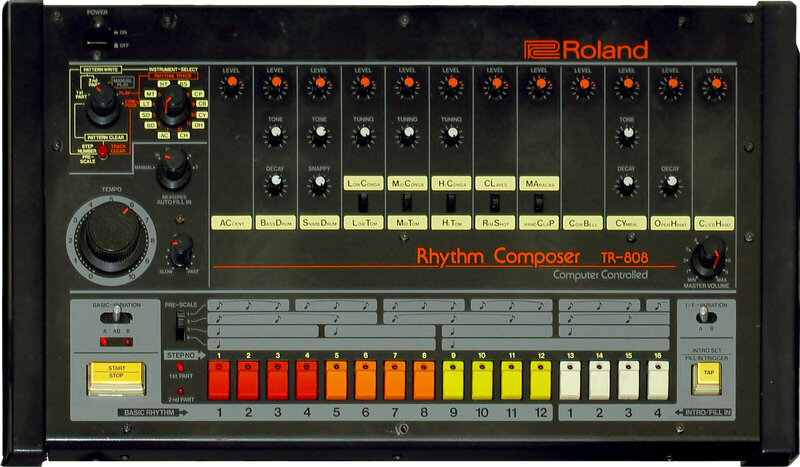 (Roland actually discontinued the 808 in 1983, three years after it was introduced.) The 808’s candy-colored keys, clunky preset sounds, and small size made it seem more like a Fisher-Price toy than a serious instrument. But that was part of its enduring genius. There was nothing intimidating about the little Roland machines — unlike most synthesizers and drum machines of the time, which tended to be large, expensive, and hard to program. Roland’s TR-808 drum machine, which would go on to have an outsized impact on popular music. The 808’s distinctive sounds, from its cowbell to the snare hit, became iconic and formed an essential element of the deep language within genres like electro, hip-hop, and house. The 808 model number even became something of a meme in pop culture — a word used in everything from band names (see 808 State) to a Kanye West album title. Recently, the 808 was even the subject of its own feature-length documentary, 808. For Kakehashi, the 808 was just another invention in a long line of them — one that spurred him to include only a minor mention of it in his memoir. Roland was bigger than one drum machine or one synthesizer; Kakehashi’s vision had extended to a whole new way of looking at music. A Bombers Journal 004 – 132 Crew in Paris. A Bombers Journal 005 – 132 Crew in Paris. (Graffiti Journal).